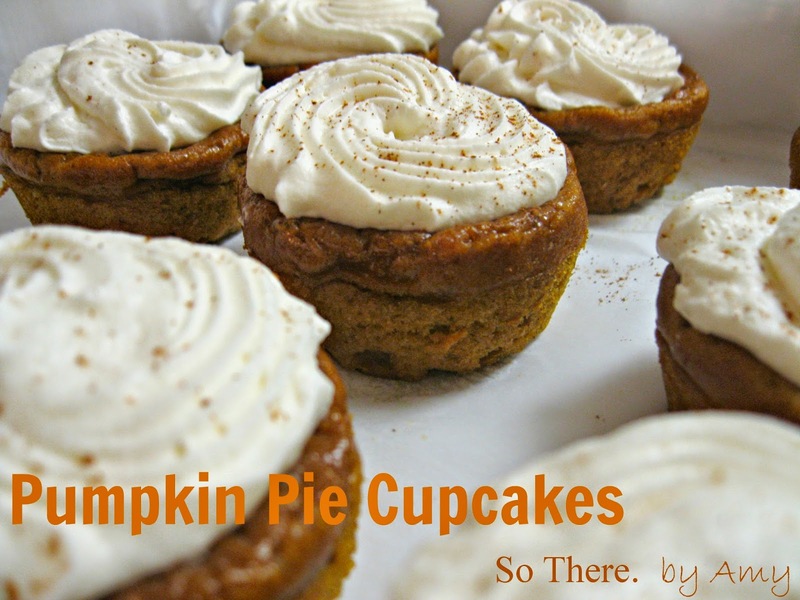 This Pumpkin Pie Cupcake recipe has been floating around Pinterest for awhile now, and it actually comes from my favorite couponing site: The Krazy Coupon Lady! 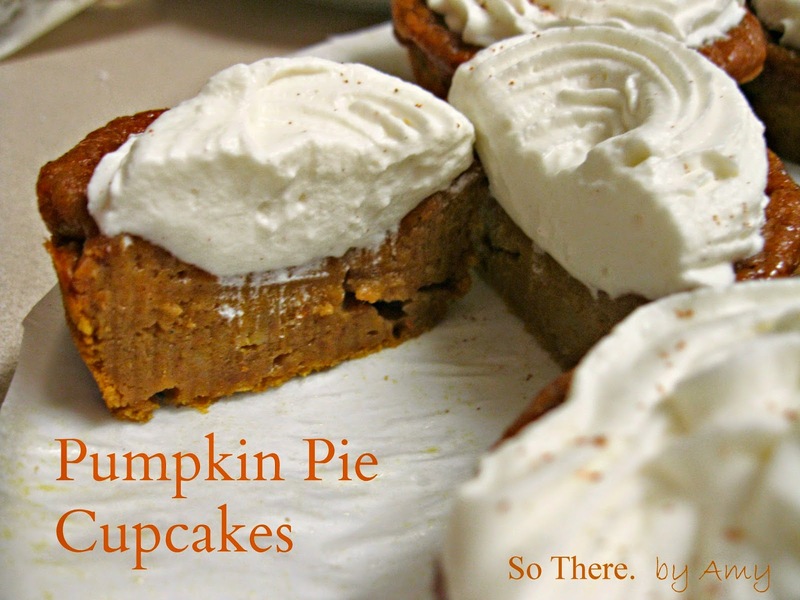 These cupcakes are an exact cross between pumpkin bread and pumpkin pie. It is so cool! It only uses one batter, but the outside bakes into a dense pumpkin bread texture, while the center stays soft and jiggly, just like pumpkin pie! These are super easy to make, yet very impressive, which is perfect for around the holidays! Preheat the oven to 350, and grease a muffin tin with cooking spray. Mix together the pumpkin, both sugars, eggs, vanilla extract and milk in a medium bowl. Add in the flour, pumpkin pie spice, salt, baking powder and baking soda, and stir until combined. Fill each muffin cup with 1/3 cup of the mixture. They will be pretty full as these don’t rise much. Then, let cool for 20 minutes. Remove cupcakes from pan and then chill in the fridge for 30 minutes before frosting. See??! Isn't it cool how it is pumpkin pie in the middle?!! But then, has a more dense, sturdy shell to hold it all together? So neat! Pour 2 Tbsp of the cream into a small pan and bring to a simmer on the stove. Pour over gelatin, stirring until dissolved. Refrigerate for about 10-15min until it turns the consistency of unbeaten egg white. Then, whisk until smooth. Set aside. Whip remaining cream in a large bowl just until soft peaks form, then whip in the powdered sugar, until mixed well. Whip in the smoothed gelatin mixture now, stopping to scrape bowl sides a couple times. Continue to whip just until stiff peaks start to form. Scoop whipped cream into a piping bag (or just spoon on top instead) and pipe on top of chilled or room temperature cupcakes. Top with a light sprinkle of cinnamon or pumpkin pie spice. My little trick: Put piping bag down into a tall drinking glass, and fold top of bag over the glass sides. This makes it much easier to scoop whipped cream (or frosting) into the piping bag!